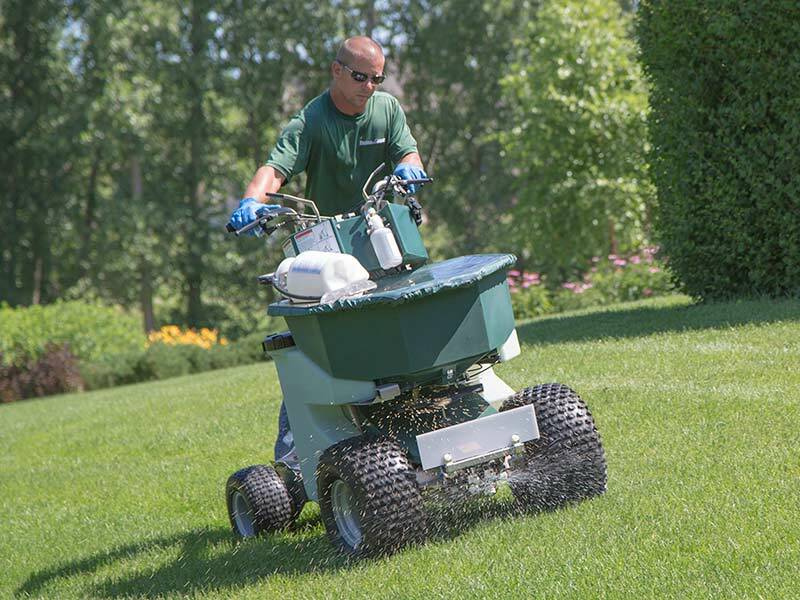 – Fertilizer with small quantity of nitrogen in the spring if the lawn is going to get several applications during the growing season, if it is only getting 1 or 2 then we should wait to the fall to do it. – Crabgrass preventer one or twice depending on the severity of the problem the previous year. – Broad leaf weed control should be done early in the season because once the temperature goes above 85 degrees there is the risk of harming the lawn. – Fungus control would only be suggested in a curative basis since it has to do a lot with the weather conditions because in order for it to occur 3 factors have to be present, a susceptible plant, the presence of the infection and the right weather conditions for the disease to spread. The only other factor that comes to mind is the mowing height and frequency and I would like to say the higher the length of the grass blades the better for the plant because it will allow for a better photosynthesis, it will shade the crabgrass in its early stages and slow down its growth and will stand a better chance in hot conditions because it has a deeper root system.